America Rising PAC executive director Tim Miller would step into the communications director role for the former Florida governor if - or when - he makes his campaign official. If Jeb Bush officially launches a 2016 presidential campaign, he’ll have a communications director waiting in America Rising PAC executive director Tim Miller. Miller tweeted on Friday morning that he’s excited to join Team Bush. Politico reported Friday that Miller’s tenure with the Bush campaign will start with him working for the Right to Rise PAC as a senior adviser but rising to communications director if Bush announces his candidacy for president. It called Miller "among the most digitally fluent and social media-savvy." Bush announced on Facebook and Twitter in December he was going to "actively explore the possibility of running for president of the United States," and outlined plans for Right to Rise PAC. The Wall Street Journal said that in Miller’s role at America Rising, he "helps run one of the most prominent attack machines in national politics," so he’s well aware of former Secretary of State Hillary Clinton’s "potential vulnerabilities in 2016." The top headlines on America Rising’s website late Friday morning were "America Rising Calls on Clintons to Return Foreign Government Donations;" "Americans Not Okay with Clintons Accepting Foreign Government Money;" and "Hillary Clinton Candy Hearts!" Miller has also served as spokesman for the Republican National Committee and worked for former presidential hopefuls John McCain and John Huntsman, according to his LinkedIn account. He was also a director at The Glover Park Group. 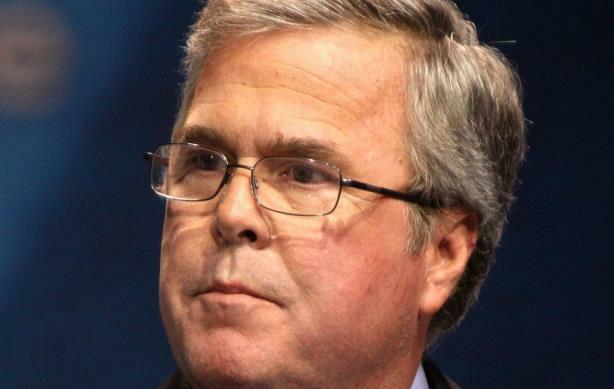 The media consensus on Twitter on Friday morning was that it is a big hire for Jeb Bush.